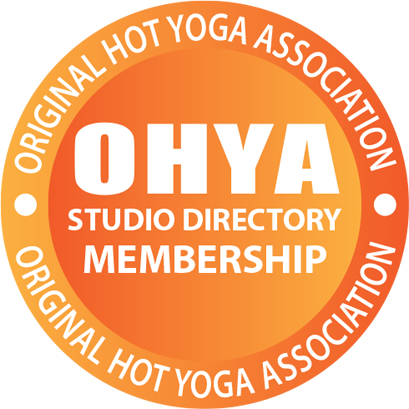 Welcome to Hot Yoga Rochester, offering Bikram Yoga and Inferno Pilates in West Webster, NY. Thank you for supporting an independently woman owned business serving our community. 100% of your investment stays in our studio. There is no affiliation or franchise fees paid to any other person or entity. The original hot yoga that’s been featured in the press and on television, famous for it’s miraculous healing ability. It is a very specific 90 minute series of 26 yoga postures (asanas) and breathing exercises. Bikram Yoga is conducted in a heated room to warm up your whole body, and allows you to work deep into your muscles, tendons and ligaments to change your body from the inside out. Each pose is a challenge based on personal abilities; each pose addresses a certain area of the body, bestowing specific and powerful health benefits. The class is designed for all levels, beginners and experienced practitioners alike. Every class is open to first time students. The postures are done in the safe environment of a heated room so that deep penetration can relieve muscle resistance without risking injury. Each posture in the sequence is done in specific order, preparing the body for the next posture, resulting in powerful healing and miraculous results. By the end of a Bikram Yoga class, you will have worked every muscle, tendon, joint, ligament, internal organ, and gland while systematically moving fresh, oxygenated blood to 100% of the body. These postures work synergistically and cumulatively to put the body back on track and in balance. Bikram Yoga builds strength, balance, and flexibility by gently stretching and massaging the spine, muscles, tendons, joints, and all internal organs of the body. Lung capacity is expanded, leading to greater vitality. Bones are strengthened. Joints are opened and lubricated. Muscles are strengthened, toned, and made more flexible. Regular practice of this series of postures results in an infinite number of benefits including injury repair, illness prevention, weight loss, increased flexibility, better circulation, reduced stress, and overall peace of mind. Bikram yoga is a process that can also reduce the symptoms of many chronic diseases, and is an excellent preventive activity for parts of the body that are healthy. In time, you’ll learn to focus your mind and control your breath, leading you to work harder, deeper, and calmer. As you improve this relationship you will realize the true meaning of yoga: a union of the body, mind, and spirit. Moving and stretching in new ways will help you become more flexible, bringing greater range of motion to tight areas. Over time, you can expect to gain flexibility in your hamstrings, back, shoulders, and hips. As we age, flexibility naturally decreases, which leads to pain and immobility. Yoga can ameliorate this process. Women should wear shorts or thin cotton leggings and leotard, jog bra or halter top. Men should wear shorts or bathing trunks (no bikinis). Since the room is heated, you want to wear something that you feel comfortable sweating in. If possible create a profile on MindBody before your first visit. This also ensures that you have a stress-free start…a great way to begin your yoga practice. No prior reservation is required for any class and all classes are designed for beginners. Studio opens 15 minutes before class starts. Bring an extra change of clothes for after class, as well as a towel to dry off excess perspiration. We do not have showers. Bring a mat, towel, and bottle of water. We do have for rent options in studio. Hydrate - Drink lots of water and eat foods high in minerals and electrolytes. (Think fruits and veggies). BREATHE! Take it slow and learn how to breathe through your nose in a hot room. You will receive benefits just by staying in the room and learning to breathe and find ease in your body and mind. Come back within 1-2 days! Come as much as you can to see the benefits of regular practice. Ask I am always here before and after class to answer any questions you have about the yoga. Park in the lot (fill our spaces in the back first) or use front parking. First time visitors to studio. High intensity, low impact interval training. Hot Pilates cre­ates long lean mus­cle, burns fat, and increases fit­ness. It cre­ates a stronger core and improves cir­cu­la­tion. It is per­formed on a yoga mat with zero impact, pro­tect­ing your joints and mus­cles from the pound­ing of other exer­cises like run­ning and jumping. Any questions please reach out to Marah directly. Our classes are designed to support you from where you are at into a healthier, happier you. My first yoga teacher had hairy legs, she was squatting on the floor next to me sipping mushroom tea on Maui Island; A 90min Hot Yoga class with a feminist witch. I loved it. One week later, back home mid January in NYC; my hot water tank broke. The landlord said it would take one week to replace. Desperate for a hot shower, I googled Bikram Yoga NYC…. 10 years later, here I am. For more on my travels, personal story and how Bikram Yoga has helped me through a less than fun medical history - browse through my blog: How I Ferment Myself. Here are some important things to remember that will help us all to have a comfy hot room experience. Arrive early. We cannot admit latecomers, as it disrupts the rest of the class. Turn cell phone to airplane mode during class time. Please take calls outside studio. Leave shoes in the designated area. Only bring your mat, towel, and water into the hot room. All other belongings can be kept in your car. Please shower earlier in the day. Do not use perfume, cologne, or scented oils. Make sure your water bottle has a lid and is not made of glass. After the class is over, please leave the yoga room within 15 minute. Wash your mat regularly and use a yoga mat spray to disinfect it and keep it fresh.